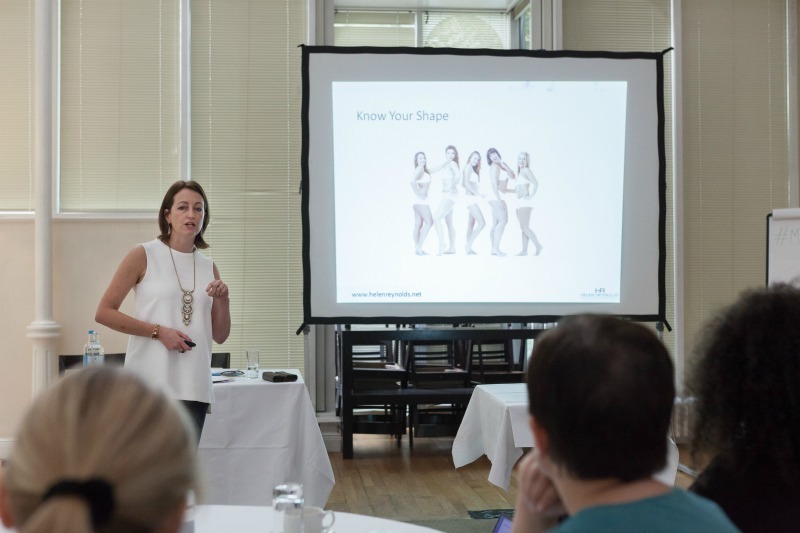 I love to share my style ethos with women in business who want to make an impact. Presenting to a group of like-minded people and taking them on a journey of understanding is one of life’s great pleasures. I’ve spoken at conferences and women’s networking groups, on webinars and to private groups of colleagues in the comfort of their own office. If you’d like to enquire about booking me for a speaking gig please email me info@helenreynoldsstyle.com to arrange a telephone call. I’ll be delighted to hear from you. How to identify your true style so you feel like you in your clothes. How to sort out your wardrobe so that choosing what to wear each day becomes quick and easy. How to shop for clothes efficiently so that you never come home empty handed again. How to use your outfits to become a great ‘shop front’ for your business so that the right clients feel drawn to you. How to use colour in your outfits to flatter your figure so that you feel confident and well put together when you are networking or presenting. The importance of choosing colours that work for you and your brand so that you always look healthy and vibrant (even when you don’t feel it). Why you might not feel ‘right’ in particular pieces of jewellery. How to use accessories to change the look of your basic outfits. My unique formula for working out the size of jewellery that suits you best. Why wearing the right clothes for you has such a huge impact on your business. Ideas for dressing according to your colouring and body shape.